The hair density that you order is really based on personal choice and what looks best on you. the standard choice is 120% which is medium thick density. The average human head is considered to be between 100% - 120%. 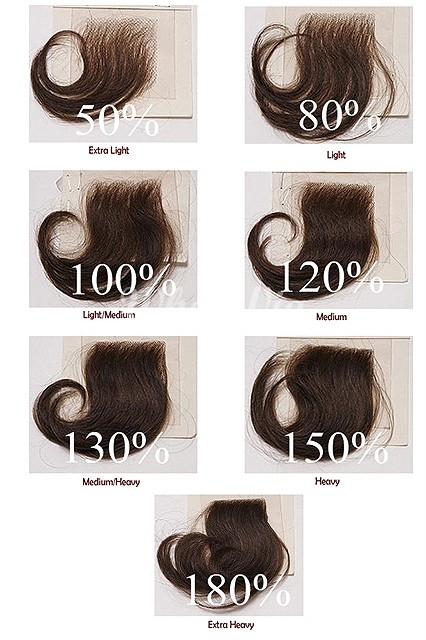 MSBUY stock wigs have 120% to 250% density, but today post is about 150%. 150% density is a nice density for ladies who want their hair to look natural with a little added fullness. A full style a lot of bounce, body and flow. better than a 120% because it have more hair, it is generally better to have more hair than less because you can always thin it out. you will also have more hair to accommodate for normal shedding from daily grooming. 180% can be better but the price won't be affordable like the price of 150% density.